Hong Kong leader Carrie Lam Cheng Yuet-ngor on Sunday rejected for the time being Tokyo’s official request that the city lift restrictions on Japanese food imports brought in after the Fukushima nuclear disaster, citing public safety. The chief executive also reaffirmed that the city had been strictly enforcing sanctions against North Korea, during her meeting at Government House with Japanese foreign minister Taro Kono, as he wrapped up his two-day visit to Hong Kong on Sunday. Lam expressed her reluctance to lift the food ban, after Kono raised the possibility during the meeting. In the wake of the 2011 earthquake and nuclear disaster in Fukushima, Hong Kong banned the import of fresh produce and milk from the prefecture and the four neighbouring prefectures, while conducting targeted radiation testing on fresh produce from the rest of Japan. “She emphasised that it is incumbent upon the [government] to safeguard public health and hence effective measures must be in place to ensure food safety and to maintain public confidence,” a statement issued by Lam’s office read. Secretary for Food and Health Professor Sophia Chan Siu-chee said her department had been in touch with Japan’s agriculture ministry over the ban and that “food safety is the primary concern”. Kono was the first Japanese foreign minister to visit Hong Kong for bilateral matters since the former British colony returned to Chinese rule in 1997, according to the Japanese foreign ministry. Earlier on Sunday, he visited the Aeon department store in Tai Koo, where he tasted food from Aizu in Fukushima, including rice, sake and ramen – exempted from the ban because they are not fresh produce. “It is scientifically proven it is very safe and those people from Hong Kong who come to Japan [are] already eating spinach and cucumbers from Fukushima. And I think Hong Kong people who have been to Japanese restaurants have eaten Fukushima vegetables and fruit,” Kono told NowTV. The city’s importers and legislators earlier urged Lam to be cautious about Tokyo’s request to lift restrictions on Japanese food imports, saying the government had to make sure all imports would not be contaminated with radiation. Hong Kong is the largest export destination of Japanese agricultural, forestry and fishery products. The two officials’ exchange came ahead of a North-South summit on the Korean peninsula next month, and US President Donald Trump’s possible meeting with the North’s leader Kim Jong-un before the end of May. UN reports in recent weeks said Hong Kong companies were being used as fronts for North Korean businesses, to help it circumvent UN sanctions. Last month the US slapped sanctions on nine companies outside North Korea that were working on Pyongyang’s behalf. Two were based in mainland China and five in Hong Kong. Lam took the opportunity to say her government was following the sanctions. “Mrs Lam also reiterated to Mr Kono that Hong Kong has all along been strictly implementing the sanction measures decided by the United Nations Security Council on North Korea, and that Hong Kong will stay highly vigilant about activities and suspected cases that may violate the sanctions,” the statement read. According to Japanese news agency Kyodo, both sides affirmed their collaboration in preventing North Korea from evading the sanctions. This was in response to incident in which a Hong Kong-registered tanker was found to have secretly transferred oil to a North Korean vessel in international waters last year. The Japanese embassies and their diplomats continue their intensive promotion campaign to export Fukushima contaminated produce overseas…. The governor of Japan’s Fukushima Prefecture is in Paris to promote farm products that are suffering from a damaged reputation following the 2011 nuclear accident. Masao Uchibori is visiting Europe following the 7th anniversary of the massive earthquake and tsunami that triggered the accident at the Fukushima Daiichi nuclear power plant. Uchibori organized the “Fukushima Pride” tasting event on Saturday at a shopping mall near Paris. Rice and fruit products were handed out to shoppers. One visitor said she likes the dried peaches a lot and is not concerned about the safety of Fukushima produce now that it is widely circulated. France has seen Japanese cuisine surge in popularity, which is pushing up the import of luxury foodstuffs and sake rice wine. Uchibori expressed hope that France will help Fukushima overcome lingering concerns about the safety of its food and make inroads into the global market. The Japanese government has been calling on other countries to lift import restrictions on its food products, after they cleared radiation screening. In December, the European Union lifted import controls on some produce and seafood from regions affected by the nuclear accident. HONG KONG (Kyodo) — Japanese Foreign Minister Taro Kono met with Hong Kong Chief Executive Carrie Lam on Sunday and requested the territory lift a ban on imports of agricultural products from Japanese prefectures near the Fukushima Daiichi nuclear power plant. Hong Kong has banned imports of fruit and vegetables from Fukushima Prefecture and four surrounding prefectures, citing the nuclear disaster at the plant triggered by a massive earthquake and tsunami in March 2011. The Japanese government hopes to enhance economic ties with the territory by paving the way for Hong Kong to lift the import ban. Tokyo also hopes Hong Kong’s action would lead China to relax similar restrictions, as Beijing has banned food imports from 10 Japanese prefectures. Kono and Lam also affirmed cooperation in preventing North Korea from evading sanctions through ship-to-ship cargo transfers in international waters. A Hong Kong-flagged vessel is believed to have secretly transferred oil to a North Korean vessel in October in a ship-to-ship transfer prohibited by the U.N. Security Council. It is the first time in 21 years that a Japanese foreign minister has visited Hong Kong apart from international conferences. During their meeting, Kono and Lam also agreed to accelerate cooperation on tourism. Workers are flanked by bags of radioactive debris along a road in the town of Tomioka, Fukushima Prefecture, In July 2016. In more bad news for taxpayers, the Board of Audit says the cost of the Fukushima nuclear disaster could balloon to ¥218.2 billion, up 58 percent from the previous estimate of ¥126.4 billion. The board released the latest estimate Friday in light of the government’s adoption of a Cabinet decision in December 2016 to raise the upper limit on financial assistance for Tokyo Electric to ¥13.5 trillion from ¥9 trillion. The government is borrowing funds from financial institutions for delivery to Tokyo Electric Power Company Holdings Inc. through a public-private body to help it deal with compensation and other costs related to the triple core meltdown in March 2011. The principal of the funds will be repaid from contributions by Tepco and other power companies to the body, called Nuclear Damage Compensation and Decommissioning Facilitation Corp., and from proceeds from the sale of Tepco shares it owns. But the interest payments will be shouldered by taxpayers. According to the latest estimate, if Tepco uses up the ¥13.5 trillion assistance limit, it will take 17 to 34 years for the government to finish repaying the funds, and interest payments will balloon to between ¥131.8 billion and ¥218.2 billion. To have a nuclear plant running in an earthquake prone area is equivalent already to a death wish. To have that nuclear plant running on MOX is equivalent to a double death wish. A protester holds up a sign saying ‘Let’s create a society without nuclear power plants!’ in front of the Genkai plant in Genkai, Saga Prefecture, on Friday as its No. 3 reactor was put back online. SAGA – A nuclear reactor at the Genkai power plant in Saga Prefecture resumed operation Friday for the first time in over seven years, despite lingering concerns from residents about evacuation plans from nearby islets in the event of a serious accident. Kyushu Electric Power Co.’s No. 3 unit at the plant was halted for a regular inspection in December 2010, three months before a massive earthquake and tsunami triggered a crisis at the Fukushima No. 1 nuclear plant. The reactor cleared a safety screening by the Nuclear Regulation Authority in January 2017 under stricter, post-Fukushima crisis regulations and was later approved for reactivation by the Genkai Municipal Government and Saga Prefectural Government. It became the seventh reactor in the nation to restart under the tougher regulations. The government of Prime Minister Shinzo Abe, which views nuclear power as an “important base-load power source,” is promoting the restart of reactors considered safe by the regulator. Local residents, particularly those living on 17 islands within 30 kilometers of the Genkai plant, are concerned about how to evacuate in the event of an accident, as there are no bridges connecting the islets with the main island of Kyushu. The Genkai plant’s No. 3 reactor generates power using mixed-oxide (MOX) fuel, which is created from plutonium and uranium extracted from spent fuel. Early Friday, a group of about 100 citizens gathered in front of the Genkai plant, protesting against the resumption and calling for the shutdown of all nuclear plants in Japan. Kyushu Electric plans to start commercial operation of the No. 3 unit in late April. It is the third reactor reactivated by the utility, following the Nos. 1 and 2 units at the Sendai complex in Kagoshima Prefecture, which came back online in 2015. The operator also plans to restart the No. 4 unit at the Genkai plant in May, after that unit passed an NRA safety assessment in January 2017. Attendants of a reception held at the Japanese Embassy in London on Thursday are served sake from Fukushima Prefecture. 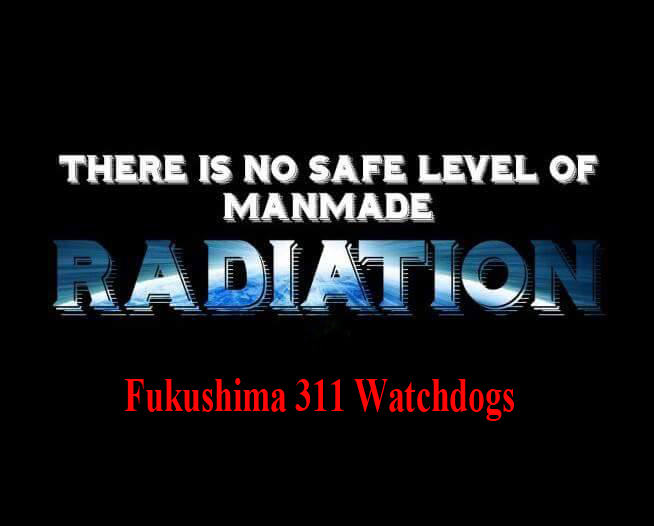 LONDON – Fukushima Gov. Masao Uchibori on Thursday kicked off a tour of Britain and France with the goal of publicizing the safety of food from the prefecture. In London, Uchibori met with officials of British importing companies to promote Fukushima products and develop sales channels. He also paid a courtesy call to Mark Field, the United Kingdom’s minister of state for Asia and the Pacific. Uchibori told Field that the people of Fukushima are profoundly grateful for the warm, generous support received from Britain since the March 2011 earthquake and tsunami and the subsequent meltdowns at the Fukushima No. 1 nuclear power plant. Before the meeting, Field enjoyed dried peaches from Fukushima given by the governor. During a Thursday evening reception at the Japanese Embassy in London, some 200 Japanese and British guests tasted foods and drinks from Fukushima, including the prefecture’s specialty Ten no Tsubu rice dishes with wagyu, locally brewed sake and peach juice. Uchibori’s tour was planned after the European Union in December lifted its restrictions on imports of some foods from Japan, including rice grown in Fukushima. The restrictions were imposed due to concerns over radioactive contamination from the nuclear disaster. A group of plaintiffs walk in front of Fukushima District Court in October 2017. The secretariat of the Nuclear Regulation Authority will increase its number of legal staff from this spring to deal with lawsuits. Japan’s nuclear regulator will increase its number of legal staff from this spring to deal with lawsuits related to the Fukushima crisis, sources close to the matter said Wednesday. The secretariat of the Nuclear Regulation Authority will increase the number of staff at an office in charge of litigation to 22 in the fiscal year starting in April from the current 17. In fiscal 2012, when the body was launched, it only had five employees, the source said. The secretariat said it was handling a total of 45 lawsuits as of March 1, of which 29 had been filed by over 10,000 plaintiffs nationwide including evacuees and victims of the Fukushima accident who are seeking damages from the state. A lawyer representing the plaintiffs has criticized the expansion move, saying the state should not insist on fighting the lawsuits. “The state should rather reflect on the accident and accept its responsibility,” he said. In addition to lawsuits related to the Fukushima evacuees and victims, the secretariat is also handling lawsuits filed by residents seeking to halt operations at nuclear plants or the construction of new ones. New lawsuits could also be filed in the future as more nuclear power plants clear safety assessments by the authority to resume operations. Currently, 14 reactors at seven nuclear power plants have passed screenings under stricter regulations imposed after the Fukushima crisis triggered by the March 2011 earthquake and tsunami disaster.